Although the presence of Christian themes is strong in The Matrix, the influence of Buddhism is equally powerful and evident. Indeed, the basic philosophical premises that drive major plot points would be nearly incomprehensible without a little background understanding of Buddhism and Buddhist doctrines. Does this force the conclusion that The Matrix and The Matrix Reloaded are Buddhist movies? The most obvious and fundamental Buddhist theme can be found in the basic principle that, in the world of the Matrix films, what most people think of as "reality" is a computer-generated simulation. This appears to align closely with the Buddhist doctrine that the world was we know it is maya, illusion, which we must break out of in order to achieve enlightenment. Indeed, according to Buddhism the biggest problem that faces humanity is our inability to see through this illusion. There are also numerous smaller references to Buddhism throughout the films. In The Matrix, Keanu Reeve's character Neo is aided in his education about the nature of the Matrix by a young boy dressed in the garb of a Buddhist monk. He explains to Neo that he must realize that "there is no spoon," and hence our ability to change the world around us is a matter of our ability to change our own minds. Another common theme that appears in the Matrix films is that of mirrors and reflections. If you watch closely, you will see reflections constantly - often in the ubiquitous sunglasses that the heroes wear. Mirrors are also an important metaphor in Buddhist teachings, illustrating the idea that the world we see around us is actually a reflection of what is in us. Thus, in order to understand that the reality we perceive is but an illusion, it is necessary for us to empty our own minds first. 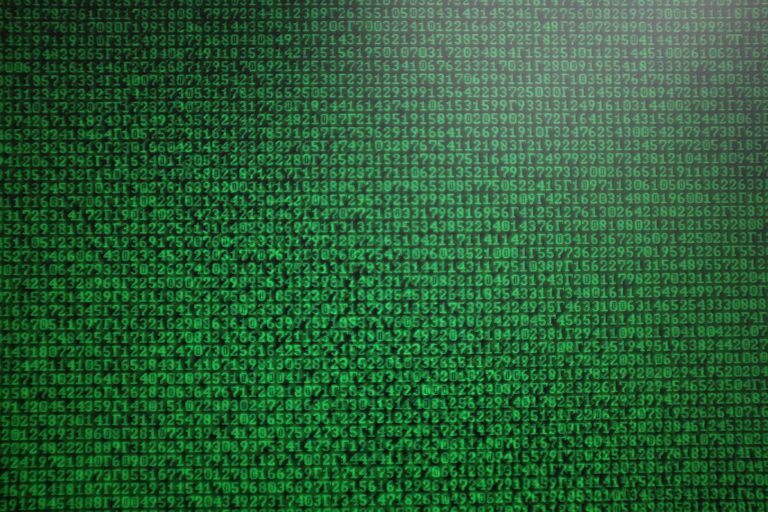 Such observations would seem to make it easy to characterize The Matrix as a Buddhist film; however, things aren't nearly so simple as they appear. For one thing, it isn't a universal belief among Buddhists that our world is only an illusion. Many Mahayana Buddhists argue that the world really exists, but our understanding of the world is illusory - in other words, our perceptions of reality do not entirely match what reality actually is. We are urged not to mistake an image for reality, but that presumes that there is a genuine reality around us in the first place. Perhaps more significant is the fact that so much that occurs in the Matrix films directly contradicts basic Buddhist principles. Buddhist ethics certainly do not allow for the language and extreme violence which occur in these movies. We may not see a lot of blood, but the plots make it clear that any humans not "with" the liberated heroes are to be counted as enemies. A consequence of this is that people are regularly killed. The violence directed against people is even raised up as something laudable. It certainly isn't commensurate for someone fulfilling the role of bodhisattava, one who has achieved enlightenment and chooses to return to aid others in their quest, to go around killing people. Also, the simple identification of the Matrix as the "enemy," along with the Agents and other programs who work on behalf of the Matrix, is a bit contrary to Buddhism. Christianity may allow for a dualism that separates good and evil, but that doesn't really play so much of a role in Buddhism because the real "enemy" is our own ignorance. Indeed, Buddhism would probably require that sentient programs like the Agents be treated with the same compassion and consideration as sentient humans because they too need to be liberated from illusion. Finally, another significant conflict between Buddhism and the Matrix is much the same as the one which exists between Gnosticism and the Matrix. According to Buddhism, the goal for those who wish to escape from this world of illusion is to achieve a disembodied, immaterial existence - perhaps one where even our perception of the individual self has been overcome. In the Matrix films, however, the goal is supposed to be to flee a disembodied existence and return to a very material, very physical existence in the "real" world. It seems clear that the Matrix movies cannot be described as Buddhist films - but the fact remains that they make extensive use of Buddhist themes and principles. While the Matrix may not be an exact equivalent of maya and Keanu Reeve's character Neo may not be a bodhisattava, the Wachowski brothers did deliberately incorporate aspects of Buddhism into their story because they believe that Buddhism has something to say to us about our world and how we conduct our lives.